It was great to see so many of you at the opening party for the Great Big Smalls show at Cube Gallery! The show will be running until the end of December so there is still time to see it if you haven't yet had a chance. In other news, on Saturday, Dec. 4th from 10am – 4pm, Arts Carleton Place is having their Holiday Shopping event at the Train Station, 132 Coleman St., Carleton Pace. There will be a collection of my Carleton Place greeting cards for sale as well as art, photography, souvenirs, and jewellery by other local artists. Enjoy hot apple cider and sweets as you shop! I am honoured to be a part of Cube Gallery's Great Big Smalls VI show this December. Come check it out, I'd love to see you there! Cube Gallery, 1285 Wellington West, is pleased to announce that our wildly popular Great BIG Smalls Show is back for a sixth year. 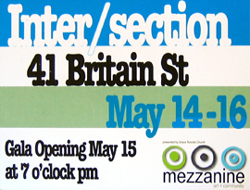 This is a seasonal group art show, this year featuring nearly 60 artists and 200 works of art. Plan to arrive on the first day for what has become one of Cube’s most anticipated annual events specializing in unique, intimate gifts of original art for the discerning kids and adults on your Christmas list. Art – the gift that will appreciate and be appreciated for a lifetime. Thanks to all who came out to the Fall Chill Tour! It was a wonderful night! To all of my Ottawa friends, I am going to have a series of paintings in The Great Big Smalls Show for the month of December at the Cube Gallery in Ottawa, ON. I am really excited about this exhibition, it's a wonderful gallery filled with incredible talent! More details to follow, check back soon! And don't forget, Fall Chill Tour is tonight! Come join us, we'd love to see you! On Saturday, October 30th, come join me at the Fall Chill Tour! It will be a night of celebrating the arts with live art performances, an art auction, jewellery & painting lessons, and musical performances by Geordie MacKay, Oceanic Air, Kirk Husak, and Howie Sutherland! I will have paintings in the auction and will be leading a mini painting lesson. Coffee, tea and desserts included as well as some amazing GIVEAWAYS. Doors open at 5pm, $10/person (kids 9yrs and under get in free) at the Utica Memory Hall, 13990 Marsh Hill Road, Port Perry, ON. This Saturday, Feb. 6th there will be a fundraising event for the Humane Society of Durham Region. There will be live music, wine, cheese, a dance and a silent auction. One of my works will be up for auction and my husband will be among the performing musicians. Tickets are $30/person or $50/couple. Contact me for more details! On August 20th, come join us at Ballygiblin's, 151 Bridge St., in Carleton Place for Flippin' Art Night! Meet the artists as we install our work from 5-7pm. The show runs until September 16th, so feel free to drop by anytime. I have been working away in the studio, having a blast and experimenting with some new ideas! This August I will be exhibiting my latest work at Ballygiblin's in Carleton Place. Check back for more details. 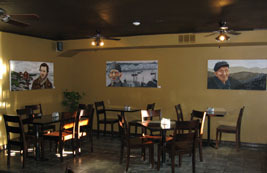 My paintings are on display at Ballygiblin's, 151 Bridge St., Carleton Place. Hosted by Arts Carleton Place, the show opens Saturday, November 29th from 11am to 4pm. I will be with my work, meeting and speaking with those in attendance. I would love to see you there! Please contact me if you have any questions. An article about my work has been published in the Mississippi Weekender, written by Christina MacLachlan. Christina MacLachlan has written an article about the winners of the Arts Carleton Place awards! Published in The Humm today. I would like to send a big thanks to Arts Carleton Place! This organization is just wonderful in their support of the arts community in my hometown, Carleton Place, Ontario. Just recently, five artists received awards to further their artistic endeavours and I am blessed to be counted among them. 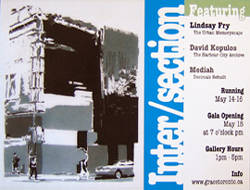 I am part of a group exhibition, "Intersection," opening at 7pm tomorrow night, 41 Britian St., Toronto. Come check out my paintings as well as the work of the talented artists, David Kopulos and Mediah! Copyright © 2008-2013 Lindsay MacKay, All Rights Reserved.